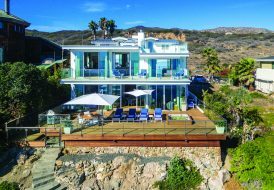 The powerhouse pair, who recorded more than $50 million in production in the last 12 months alone and recently joined the Coldwell Banker Global Luxury program, has a unique vantage point in the marketplace. They serve some of the most expensive ZIP codes in the United States, including 94022 (Los Altos). 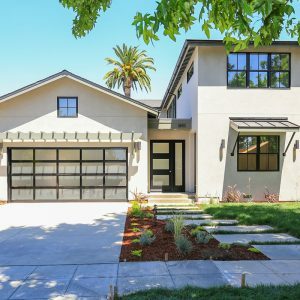 Their boutique approach, which they call “personal” and “high-touch,” has allowed them to generate close relationships with not just affluent buyers and sellers, but also with high-end custom developers who are delivering new multimillion-dollar modern farmhouses to neighborhoods like Los Altos, Palo Alto, Mountain View and San Jose’s charming Willow Glen district. The trend has been an especially interesting development to watch for Yang, since she’s a Silicon Valley native. We recently caught up with Fling and Yang in Las Vegas during Coldwell Banker’s Gen Blue 2019 to gain further insight into the modern farmhouse phenomenon, and to find out where they see luxury residential design going next. Coldwell Banker Global Luxury First, how would you define modern farmhouse style? Karen Yang We would define modern farmhouse style as typically single-story — somewhat sprawling, with clean lines and fairly simple in architectural detail, but also very recognizable. You might see touches like board and batten exterior trim or metal roofs. A lot of times the houses use lighter exterior colors, black steel window frames, etc. but they are not particularly elaborate. Christopher Fling In terms of the luxury modern farmhouse, a developer might take the money that they would have spent on architectural embellishments in another architectural style and invest it in higher quality finishes — the tile, the appliances, the plumbing fixtures, the steam shower — to make your everyday more luxurious yet still feel livable. 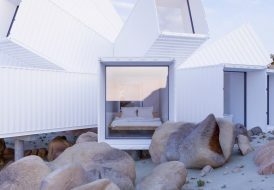 Karen Yang And nowadays houses are getting more and more connected. It is almost standard now to have integrated doorbell video and sound systems, and oftentimes lighting and HVAC systems that are controllable by phone. Even in older homes, people are making these upgrades and many of our residents are quick adopters of new technology. Almost every doorbell now has a Ring doorbell or some sort of video surveillance component to it. Christopher Fling Yes, in our market, it’s rare to come upon the house that does not have video surveillance of someone walking up to the door — whether it’s the high-tech video system or more accessible technologies like the Ring system. Coldwell Banker Global Luxury Why do you believe modern farmhouse design is so in demand in Silicon Valley right now? Karen Yang Silicon Valley is an interesting place. There is a huge mix of cultures here, yet our history in the area is really agricultural. The resale housing inventory in the area tends to reflect our farm and ranch roots. However, an original ranch-style spec home built in the 1950s is not particularly attractive. When we started to get really multicultural influences about 20 or 30 years ago, global influence took over. We saw people building a lot of Mediterranean- and Tuscan-style homes. But over time, a lot of people began to realize that the style of these homes doesn’t necessarily fit into the neighborhoods here. These sometimes tall and grand homes don’t seem to fit on the smaller parcels of land that are typical in Silicon Valley. Christopher Fling Development tends to be all rebuild here because so much of the land in Silicon Valley has already been built out. So even if you’re building a new property, you’re typically building in an existing neighborhood. The modern farmhouse ends up complementing the traditional ranch houses that already exist — so you feel like you are integrating better into the neighborhood. The house might feel fresher and it might be bigger, but the style is not ostentatious. You’re not alienating the character and quality of the neighborhood that you bought into. A good majority of the existing ranch style homes are lovely homes. And if you try to build a giant Tuscan mansion next to them, it — quite frankly — doesn’t work. You’re going to have a happier neighbor if you complement the neighborhood vs. competing with it. These homeowners are realizing that they want to fit in vs. stand out. Karen was just saying that Silicon Valley is interesting because people want their interior spaces at home to reflect their environments at work, which are usually sleek, clean and functional. If you look at the Google campus, it has all of these unique spaces where employees can feel creative and relaxed. 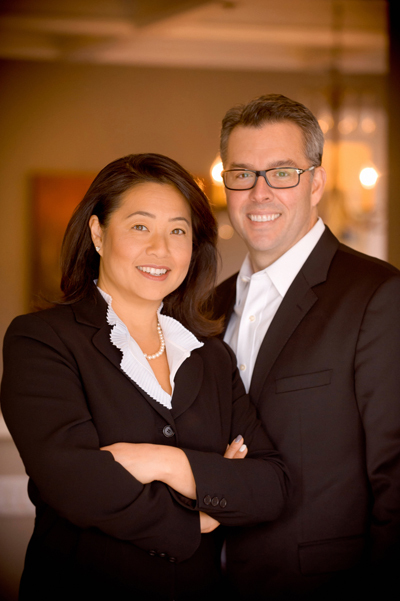 Karen Yang The modern farmhouse has that innate efficiency that speaks to our population. Coldwell Banker Global Luxury Given that Silicon Valley has agricultural and farm roots, do you think it’s interesting that this style has really taken off in 2019? Why now? Christopher Fling It does make sense because we have the connection to the fruit orchards that were here. Karen Yang I think it is a nice modern evolution of the existing neighborhoods in the Valley. I also think it is in response to what has been a couple of decades of building the Tuscan and Mediterranean standouts that don’t necessarily fit that well into the neighborhoods that we service. Christopher Fling Modern architecture is so specific, right? The true modern homeowner wants to make it theirs. It’s super specific, even if the lines are clean and simple. There was a transitional design moment, where people were building in media niches and softening corners and they tried to blend styles that felt outdated really quickly. I think the modern farmhouse feels enduring. It’s modern, crisp, timeless and cohesive with the neighborhood. Coldwell Banker Global Luxury Is there any way to quantify how many new builds are modern farmhouse right now? Christopher Fling It’s hard to quantify. I think if we were to say production spec build compared to custom build, the custom side is most likely going to be building modern farmhouse right now. If you look at production spec builders, they are still building modern craftsman. I would say that they’re still not on trend yet. They’re still building more transitional spaces. Coldwell Banker Global Luxury So you’re seeing this primarily on the custom side or high-end developer spec side? Karen Yang Yes. When we speak to general contractors, they tell us that the modern farmhouse is relatively easier to build — because they are simple. There are not a lot of embellishments. They don’t have the faux stone wraps or the large faux stone fireplace. The tiles that are going into these homes are smooth, sleek and uniform as compared to, say, a natural limestone that takes more time to piece together. The materials are typically easier to work with. Coldwell Banker Global Luxury Are they easier to sell? Christopher Fling Yes. We can point to one example. 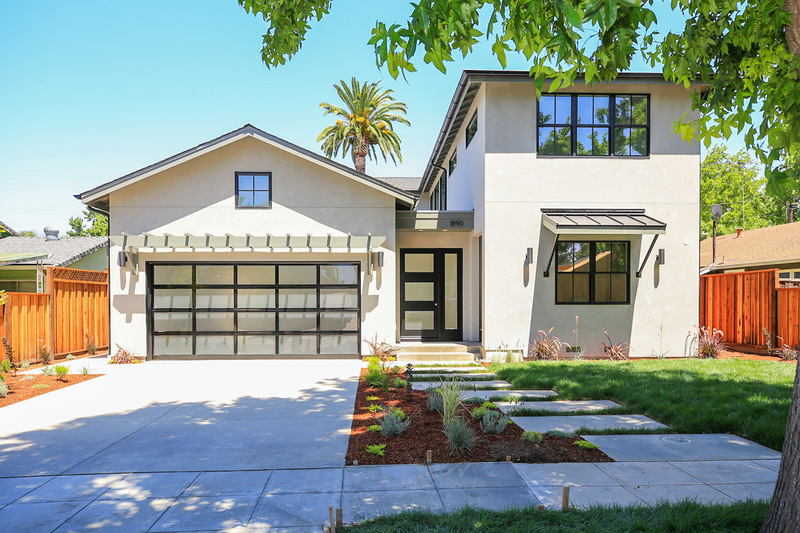 On a premier street in downtown Los Altos, there were two homes in the $7 million price range, both about the same size, that recently came on the market within a few days of one another. One was designed in the farmhouse style and was under contract within a week. The other one was a more traditional French style home, and it is still on the market today. Karen Yang The difference in list price was almost $1 million. The European-styled home was priced less and in a slightly better location on the street! Coldwell Banker Global Luxury Are you seeing this everywhere? Karen Yang Yes, pretty much everywhere in Silicon Valley. We’ve represented buyers on a handful of them as well. Christopher Fling The style seems to appeal to every age demographic. It’s not age specific. I think that the more formal nature of those Tuscan styles and traditional-styled homes seems to attract a specific demographic. But the modern farmhouse? Everyone tends to like it. Karen Yang If one spouse loves modern and the other spouse wants a more ranch or Craftsman look, they both seem to be able to agree on the modern farmhouse. It has enough interest to appeal to all kinds of buyers. It feels like a compromise, but in the best way possible. Coldwell Banker Global Luxury What are buyers telling you that they love about the style? Karen Yang It’s easy for a family to live in. They can easily see how they’re going to live in it because that whole farmhouse element is about efficiency and family living. Christopher Fling Spaces in those designs tend to be somewhat flexible. You might have a great room plus a formal dining room, but the formal dining area can become a media room or a secondary den. Depending on how your lifestyle changes, your home can adapt with you because you’re still going to have that space in 10 years. You have the space to adapt to life changes without making structural changes. Karen Yang And yet there is still definition to the floor plan with a lot of flexibility. Christopher Fling Especially in the more expensive areas, we’re finding that multigenerational living is becoming more common. Family members from overseas come to stay for a long period of time, so it’s nice for homeowners to have spaces where everyone can interact on one floor vs. having to an upstairs bedroom. It brings the different generations together. Coldwell Banker Global Luxury Does the modern farmhouse appeal to international buyers too? Or is it primarily domestic buyers? Karen Yang It does have universal appeal. But if we’re talking about someone who is primarily focused on having land, then they are in a different market and are probably going to build what they’re going to build. But I do feel like once they’ve been here for a while and they are raising children, they are probably going to want to be closer to town and closer to activities. For the buyer who is coming into town because of family life and community life, I do think the farmhouse style is all capturing. Christopher Fling In our area, the focus on kids and education is so strong too.The farmhouse style just works. Parents like it because they can see what their kids are doing at home or in the backyard, and the house is light and bright. It just provides a different feel. Coldwell Banker Global Luxury Jade Mills also spoke about how the modern farmhouse style is in demand in her market. Are you surprised to hear that the style has appeal in a place like Beverly Hills? Christopher Fling Not at all. It’s an elegant, easy way to live. Karen Yang It’s easy to make it luxurious without making it ostentatious. In Silicon Valley, we tend to not be ostentatious. Everything is super casual. Our restaurants are casual. Our dress code is casual. The farmhouse vibe fits right into our lifestyle. 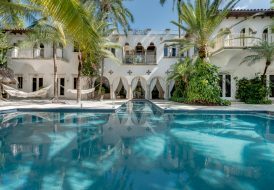 Coldwell Banker Global Luxury Another way to look at this trend is how a lot of luxury homeowners today seem to prefer discretion over ostentatious displays of wealth — a departure from 20 or 30 years ago. Karen Yang I think that’s a really interesting way to look at it, because that tendency toward discretion leads into personal security. They have the money and can choose to make their home beautiful, but their home doesn’t have scream “I’m wealthy.” And maybe they don’t want to flaunt it — that’s not the way they live and not the people they are. The whole security issue has become a major one for a lot of affluent homebuyers in the last decade. I could see a lot of our buyers wanting their home environments to be quieter and blend in more with the neighborhood, rather than stand out. Coldwell Banker Global Luxury Where do you see luxury home design in the Valley going next? Karen Yang We both agree that it’s not going to be so much a new architectural style, but the way homes are being designed. If you have the opportunity to design or build your home, we do think that garages are going to go by the wayside. Not immediately, of course, but over time we believe that future garages will become flexible spaces. It can be a garage today or for the next decade until we don’t need two or three cars in our garage anymore. Christopher Fling We are thinking about the self-driving cars that are coming. When you’re in an area where land is so expensive, you want to live in a walkable town center and be able to have more living space there versus space for your three cars. That is probably going to make more sense. So, designing a house that can convert a garage into a living space without disrupting the flow of the rest of the house is going to be so important. Karen Yang Garages in our area are designed in such a way where you would typically step down onto a concrete slab while the house itself is built over a crawl space. It would be awkward if you wanted to turn the garage into a living space. So, I think we’ll see more garages that can convert easily to a living space, with a level entry, congruent ceiling heights, insulation, and all of the normal things that go into a room versus a car garage. Christopher Fling If we look at traditional affluent communities, they are typically farther out and there is more land and space between neighbors. I think that tomorrow’s wealthy aren’t as interested in that. They want community around them. They still want privacy but not that much. We are more accessible to the people we work with and more accessible to the people in the community. I think the style of the house that we live in reflects that. We live in an age where a wealthy person may volunteer at the food back kitchen vs. chair a black tie event. It’s a different kind of altruism.